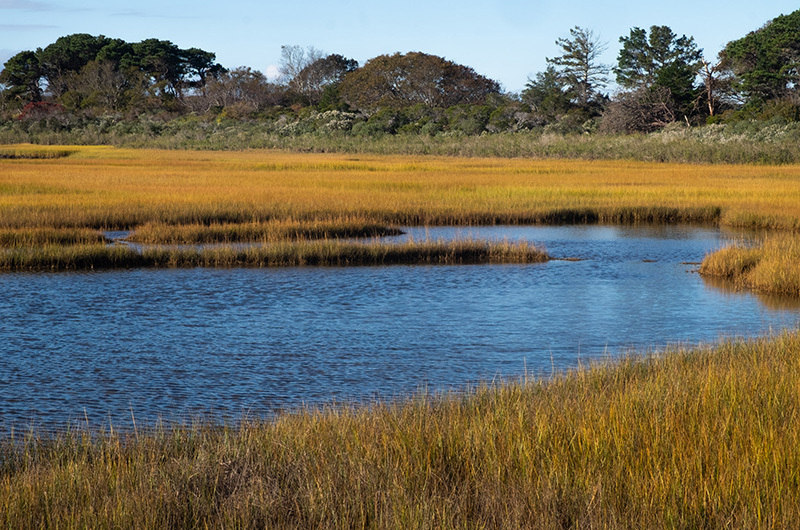 Commission was established in 1974 to protect the land and waters of Martha's Vineyard. There are no contested seats this year on the Martha’s Vineyard Commission, with nine incumbents running for nine seats. Founded in 1974, the Martha’s Vineyard Commission is a unique regulatory body dedicated to protecting the health, safety, and general welfare of Island residents and visitors through the designation and review of developments of regional impact and districts of regional planning concern. Candidates for the MVC were asked by the Gazette to describe briefly what they believe are the most pressing priorities for the regional planning agency. What follows are their edited responses. I have been a member of the commission for 12 years. The most pressing issue facing the Vineyard, and the MVC as a planning voice, is keeping the sense of community while having reasonable growth. Affordable housing, local businesses and local jobs, and open spaces to breathe, are some of the things that make our unique community and are the focus of MVC work. I am serving my second term as a commissioner. The Island has had rapid growth for the past two decades which has strained and harmed the natural resources of the Island; water, estuaries and infrastructure. The issue/question is how to minimize the impact of further growth on these resources or has the Island reached capacity as further building impacts all resources. I have served on the commission since 2013. Being one of the younger members on the commission, I am keenly sensitive to the issues facing young families and entrepreneurs. The commission, voted in by Vineyarders in 1974, was designed to have elected community review of transportation, economic development, the environment, land use, and community development. I have watched and lived with the MVC decisions and have learned how vital those decisions are to my friends and neighbors. It is our responsibility to keep the Vineyard a welcoming livable place. There has to be responsible collaboration between our economic, community and personal needs. Our MVC needs every generation to give input, time and energy. It is all about balance and priorities. I will continue to work to protect the Island’s environment while allowing for sensible development. I have served on the commission since 2003. Frankly, I believe Martha’s Vineyard is getting too popular. Over one-half the housing on the Island consists of second homes. When those houses and the hotels are filled in July and August the Island becomes a different place. Traffic congestion at key intersections is reaching unbearable levels. Our children cannot afford to buy a home here. Most of our coastal ponds are impaired by excessive nitrogen from septic discharge. For me, the most pressing issues facing the commission are affordable housing, the degradation of our coastal ponds and summer traffic congestion. All are caused by development that is driven by our popularity as a summer resort. I believe our community must make some hard decisions about what we want this place to be and must find the political courage to implement those decisions. I am seeking reelection after serving two years. Previously, I served for over 10 years during the 1990s and early 2000s. I strongly believe in regional planning and services. All six towns are in this together and we need to support each other. I feel one of the most important issues is assessing our vulnerabilities from climate change and sea level rise and then developing a plan to make our Island more resilient. Another issue is developing a more sustainable economy, not based solely on tourism and new construction, but one that is based on our unique local resources, fishing and agriculture, and encourages a strong year-round community. To do this we need to protect our fresh and saltwater bodies and groundwater and solve our affordable housing shortage. My biggest passion is conservation of resources— land, water, and energy and reducing waste. A former chairman of the MVC, she is its longest-serving commissioner, having started in 1992. The current chairman of the commission, he works for South Mountain Company. A member of the commission since 2013, he is the founder of Barnes Moving and Storage and was the first president of Vineyard House, the Island’s only sober living facility.